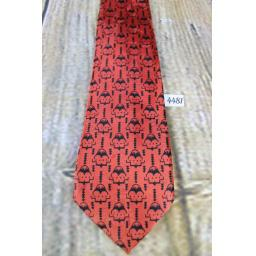 Vintage Blue Tie With Deer / Stag Red Woven Repeat Pattern 4" wide 65% Acetate 35% Rayon! Vintage Vardoc Retro 70's/Wide/Kipper Tie Worsted Blue Frayed End 11cm Wide! Vintage Retro Can-Knot 70's/Wide/Kipper Tie Brown/Cream 13.5cm 5.25" Wide! Vintage 1950s/60s Contessa Tie Bi-Plane/Flying Machine 4.5"
Vintage Retro Tootal 1970's Wide Kipper Tie Mint Green & Grey Stripe 4.75" Wide! Vintage Retro Tootal 1970's Wide Kipper Tie Black Pink White Floral 4.5" Wide! 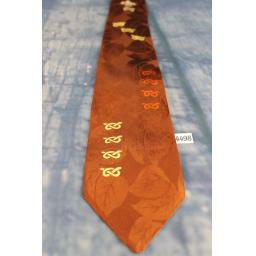 Vintage Retro Tootal 1970's Wide Kipper Tie Brown Cream 4.75" Wide!